Geeks and movie industry pundits are tripping over their lopsided, smelly feet in their rush to make bets on who will be cast in the lead roles of the forthcoming Justice League film. By now, the blogosphere has had more than enough posts weighing the merits of actors who might be able to follow in Christian Bale’s Bat-steps. Let’s fast-forward to a year from now, when Hollywood is breaking its nails scraping the bottom of the barrel of comic book properties that haven’t been optioned into movies. Let’s talk about the Bizarro Justice League movie. Not familiar with the Bizarro Justice League? 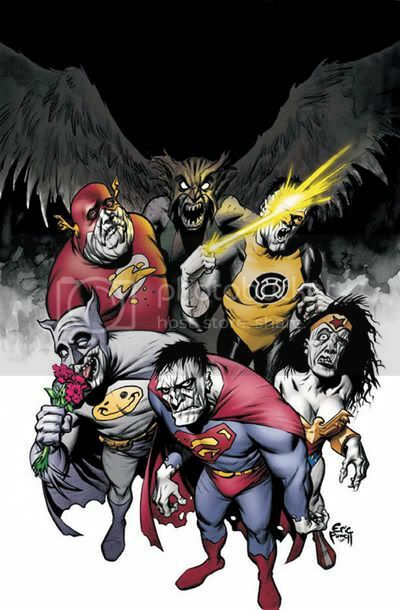 “The World’s Worst Team,” led by Superman’s demented doppelganger, Bizarro, is an alternate reality’s not-so-super-or-heroic version of Justice League. Get the idea about this alternate universe? It’s the kind of place where Bizarro Paris Hilton continues to guard her chastity from beneath a burka. A grotesque imitation of Superman. His flesh is white, the color of chalk, and his face appears faceted, as though it had been chiseled out of rock. His black hair is matted and unkempt. He is well-meaning but witless, super-powerful but pathetic. His speech is illiterate and ungrammatical. Crushing (or, “un-helping”) a hapless citizen. Um, have you seen him? 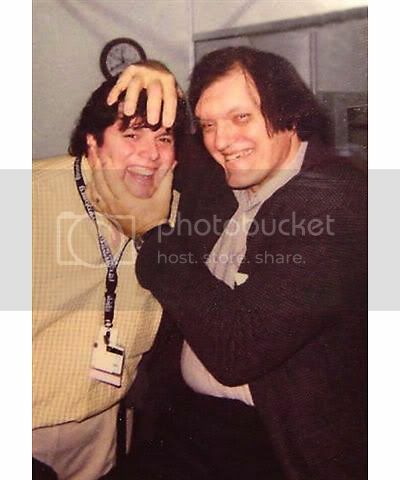 Jaws from the James Bond movies was born to play Bizarro. That, or he was dropped down a few flights of stairs and injected with heavy doses of steroids as a child. Then he was ready to play Bizarro. “The Slowest Man Alive” is the antithesis of The Flash, who is youthful, quick-witted, and–of course–fast. Wonder Woman is beautiful, noble, and powerful. Bizarro Wonder Woman is a dumb tramp. And I say that in the fondest possible way. Wonder Woman’s beauty is all natural. On the other hand, Janice Dickinson looks like Dr. Frankenstein’s half-assed attempt to hobble together an Amazonian princess. In other words, a perfect Bizarro Wonder Woman. Unlike Aquaman–who is blond, chiseled, powerful, and at home in the ocean–Bizarro Aquaman can’t swim. …with his clothes on. You’re welcome. No one of Ron’s shape and furriness should ever be permitted near a body of water. Forget the environmental impact… no one should have to look at that. Think of the children. In contrast with the brilliant Batman’s quiet, contemplative approach, Batzarro, “The World’s Worst Detective,” does all of his (rudimentary) thinking out loud. Defying the laws of physics. 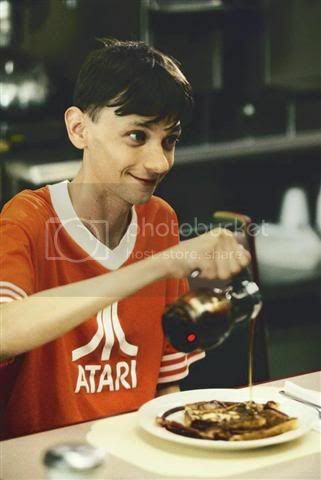 How can that arm hold up that bottle of syrup? This role calls for someone who can convincingly spew a constant stream of brain vomit. Perhaps you saw Qualls as a babbling moron in Road Trip. Or, The New Guy. Or, My Name is Earl. Plus, his frighteningly-spindly little arms (unlike Batman’s) would make it impossible for him to participate in hand-to-hand combat or ever swing on a Bat-rope. Green Lanterns are utterly honest and born without fear. Yellow Lanterns are… not. Lane, accompanied by a house painter wearing pajamas. 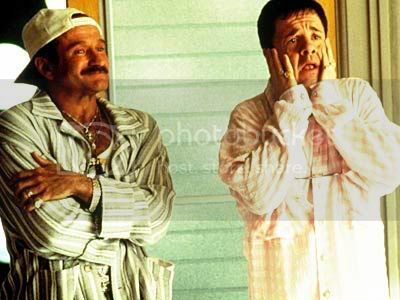 Recall Lane as the hilariously-high-maintenance ninny from The Birdcage who shrieked in distress, shock, surprise, or disappointment every ten minutes or so, and you’ll see exactly why he’s perfect for the role. Stereotypes of gays, that’s why. 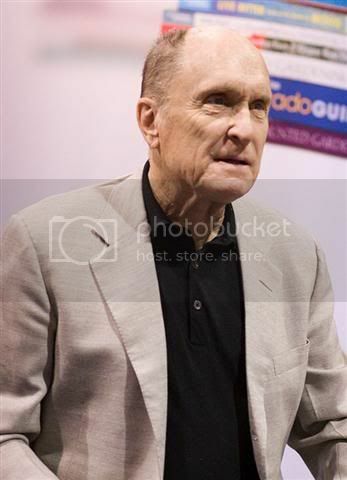 Robert Duvall as the Bizarro Flash is brilliant. 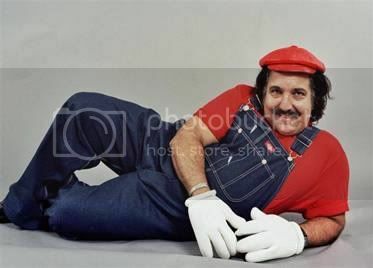 Though, I do believe I saw Ron Jeremy swimming on the Surreal Life and he knows his way around a hot tub. But did he look like he *belonged* in that hot tub? Janice Dickinson is my favorite as Bizarro Wonder Woman. If I do say so myself.